Welcome to the Dream On Me brand website. 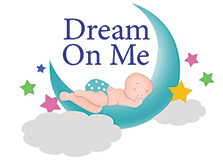 The DOM Family is the designer, manufacturer and supplier of quality baby products. It is a Family owned and operated business. We pride ourselves in quality products & service. Extensive experience, professional expertise and tough safety standards ensure the top quality of our products. Our mattresses and bedding are made with pride in the U.S.A. We proudly feature innovative patents on two of our mattresses. Our customer’s satisfaction is our top priority. We pride ourselves on our large selection of gift sets, novelty gifts, diaper bag gift sets, and baby accessories. We import the finest quality gifts and accessories, cribs, walkers and strollers.